"It really is a wonderful, people-friendly website. It’s easy to see what’s on and when. And it’s no longer daunting to attempt to secure tickets. 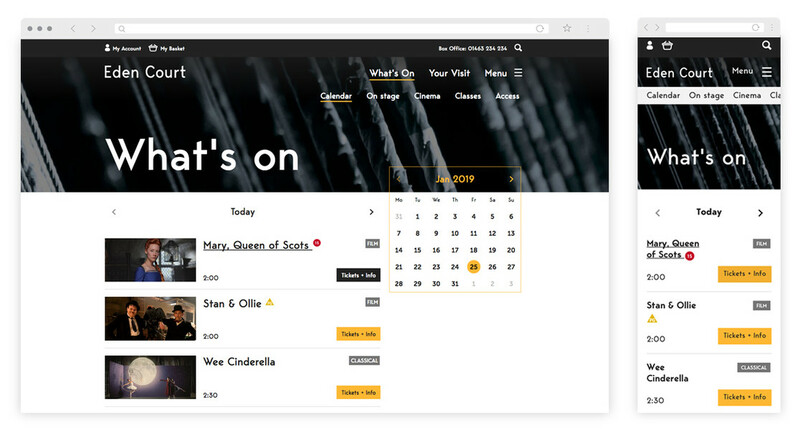 Thank you"
The venue is home to a complex and busy daily programme – including stage shows, film screenings, exhibitions and classes – so we separated listings into four logical and easy to understand sections, based on customer needs. 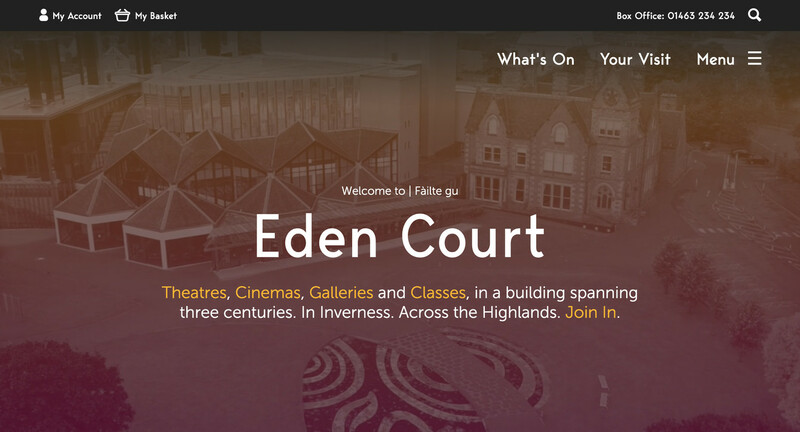 To encourage users to explore the website further, the team at Eden Court can easily link relevant activities, allowing users to hop from a performance to a class; from how to hire a space to details about dining facilities. Behind the scenes, the website integrates with the Audience View API, and has been designed to ensure the smoothest possible purchase path for customers. 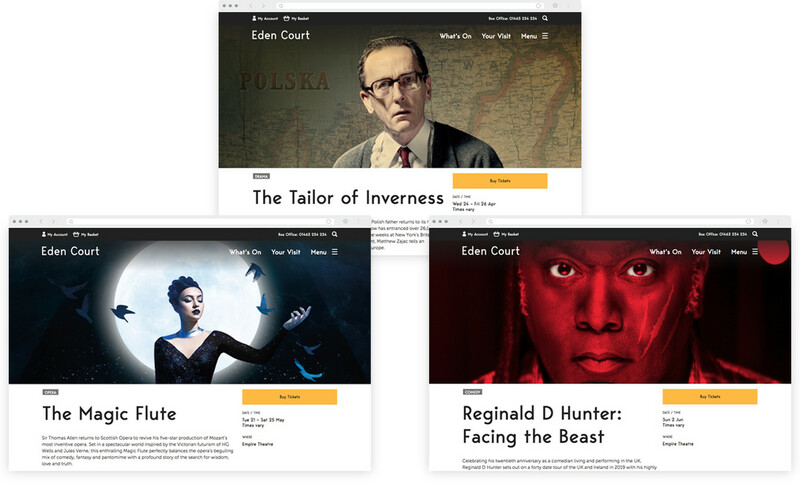 Add to this the website’s clear user interface, and 100% Google Lighthouse Accessibility score – just like Eden Court itself, the website is welcoming to, and usable by, everyone. At last a website where you can book a ticket within four clicks … proud & immensely grateful to those geniuses & tech wizards at Supercool.